Dr. Catherine Christie is Associate Dean, Professor, and Graduate Nutrition Program Director in the Brooks College of Health at the University of North Florida. A Registered Dietitian, Fellow of the Academy of Nutrition and Dietetics and Fellow of the Preventative Cardiovascular Nurses Association, Dr. Christie earned her degrees from Florida State University including a Ph.D. and M.S. in Food and Nutrition. Before coming to UNF in 2011, she was a clinical endocrine dietitian, private practice nutrition business owner and practitioner, and served as Vice President of Continuing Education for a continuing education provider for health professionals, writing and delivering six hour continuing education courses on various aspects of nutrition to health professionals. Since coming to UNF, she served as the Master’s Dietetic Internship Director, Nutrition Program Director, Chair of the Department of Nutrition and Dietetics, and now Associate Dean of the Brooks College of Health. Her research has focused on overweight and obesity prevention and treatment, nutrition in chronic disease prevention and treatment, and inter-professional collaboration in education and health care. 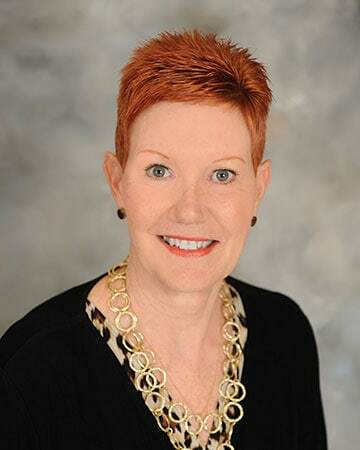 Dr. Christie is a Past President of the Florida Academy of Nutrition and Dietetics and currently serves on the Board of Directors of the national Academy of Nutrition and Dietetics, the world’s largest organization of food and nutrition professionals. She served for nine years with six years as Chairman of the Dietetics and Nutrition Council which regulates the nutrition profession in the state of Florida. Dr. Christie is co-author of four books including The Latino Food Lover’s Glossary, Fat is Not Your Fate, Eat to Stay Young and I’d Kill for a Cookie, multiple book chapters and peer reviewed journal articles. She is also Editor of the Manual of Medical Nutrition Therapy which is updated and published by the Florida Academy of Nutrition and Dietetics yearly. Dr. Christie has been active in service to community based programs and agencies, currently serving on the Board of the American Heart Association Jacksonville Affiliate and as Treasurer of the North Florida Area Health Education Centers. She is the recipient of numerous awards including Florida’s Distinguished Dietitian, Florida Dietetic Association Outstanding Service Award, the American Dietetic Association Outstanding Dietetic Educator Award, Florida Academy of Nutrition and Dietetics President’s Mentor Award and the Academy of Nutrition and the Dietetics Excellence in Practice Award for Education in Nutrition and Dietetics.